Days before the parliamentary recess Defence Secretary Michael Fallon slipped out a written statement on UK military operations against ISIS. Overshadowed by the uproar around the revelations from Reprieve that UK pilots embedded in US forces were already undertaking air strikes in Syria in direct contravention of parliamentary authority, the statement reveals two important changes to UK drone operations. Firstly that the UK is changing the way it calculates and records air strikes in Iraq to fall in line with the US methodology (or as Fallon chose to put it “the Coalition method”). 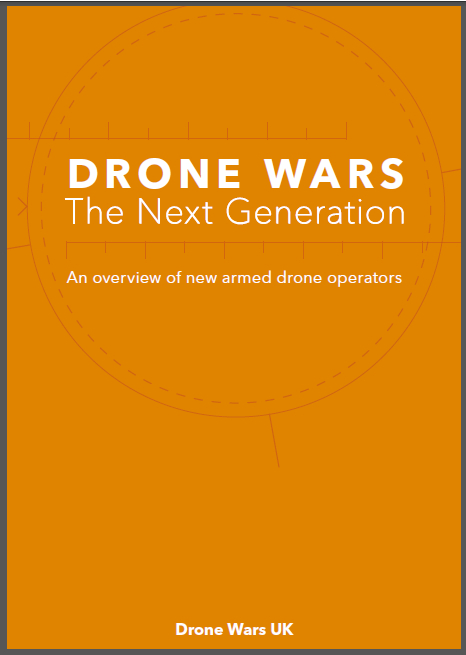 Secondly through what Michael Fallon calls “collaborative force management and sharing arrangements”, the UK and the US will once again apparently be sharing drones. 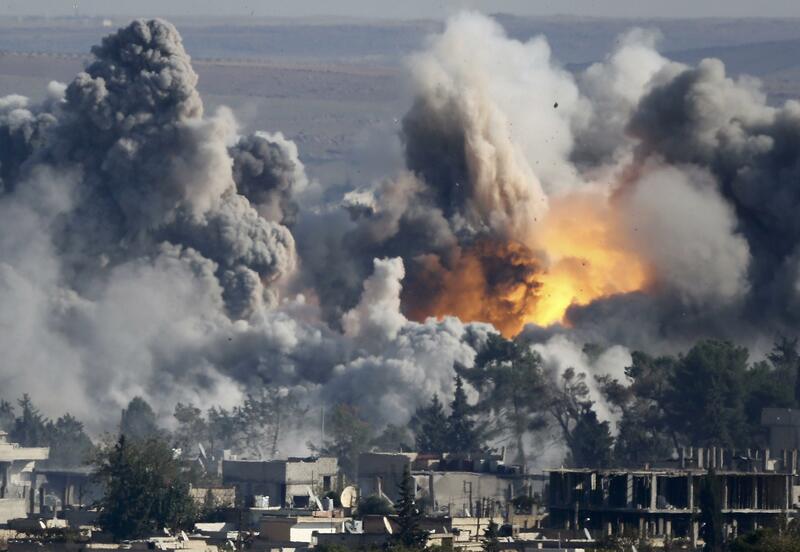 When is an air strike an air strike? When is an air strike and air strike? To most people it may seem that what constitutes an air strike is obvious: a weapon fired from an aircraft hitting an aim point on the ground equals one air strike. However nothing is so simple when it comes to the military. Multiple weapons fired from one aircraft at the same time aimed at different targets on the ground can often be counted by the military as only one strike. Sometimes even multiple aircraft firing multiple weapons at multiple aim points in roughly the same geographical area (for example different part of a building complex, vehicles outside, and a group of individuals gathered across the road) can also be described by the military as a one or two strikes. *Note – this figure given by MoD is an apparent miscalculation and should be 303. 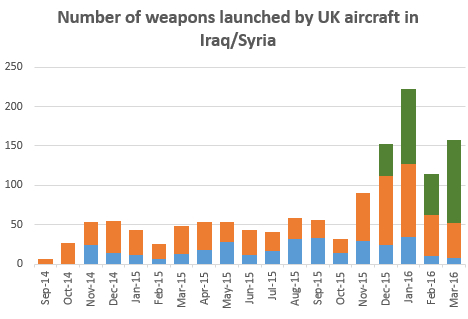 By using the ‘coalition method’ the MoD has at a stroke ‘reduced’ the number of UK airstrikes in Iraq by 25%. The reality is of course that the MoD is not reducing the number of actual strikes but is reducing our understanding of what is happening on the ground, lowering accountability and reducing transparency. In their most recent FoI response on UK drone strikes in Iraq the MoD have used the ‘coalition method’ rather than the UK method previously used. We asked for clarification to explain the difference between the UK and the Coalition calculations, but the MoD have insisted that such a clarification be treated as a further and separate FoI (and consequently will take some time to answer). 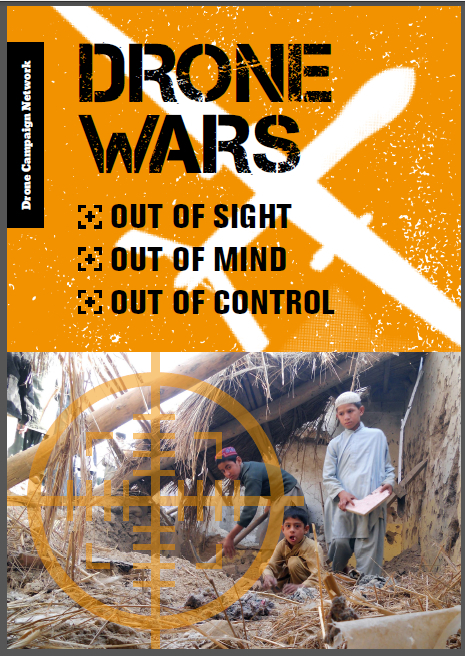 In Afghanistan the UK ‘borrowed’ US drones for some operations including launching strikes. The UK have stated that the US did not borrow UK drones for missions in Afghanistan but it seems from the Defence Secretary’s statement that this may now be a possibility. As we have written previously, such borrowing arrangements will mean even less transparency and makes it even harder for civilian victims of air strikes to hold perpetrators to account.